Between Billy Strayhorn and Woody Shaw, the Indian lotus flower adorning guitarist Mike Moreno’s fifth album has quite the history in jazz. But Moreno’s music therein has more in common with the mythological Greek lotus-when consumed, it evoked a pleasantly dreamy, lazy state. Lazy is perhaps the wrong word for Lotus; much of it is slow and delicately structured, but the end result suggests romance and longing more than laziness. Melodies tend toward simplicity, like the short, gentle repeats Moreno and pianist Aaron Parks double on “The Hills of Kykuit” or the oblong but equally gentle variations of “The Empress.” The rhythms (courtesy of bassist Doug Weiss and drummer Eric Harland) and moods, meanwhile, tend toward … well, gentleness. “Lotus” and “Can We Stay Forever” have grooves that hold on firmly, but still never rise above a whisper. It so permeates the album that it’s the deviations from it that one notices. Primarily this consists of “Hypnotic,” which is anything but-a snippet of melody, again doubled by Moreno and Parks, has potential to entrance but is almost immediately subsumed by an antsy, hip-hop-inspired beat from Harland and Weiss. 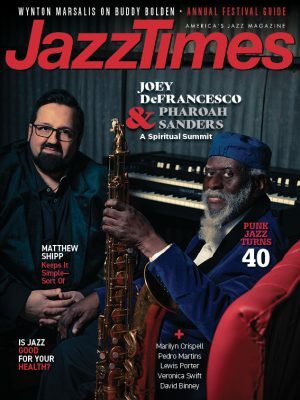 (Its agitation spreads to Moreno and Parks’ respective solos as well; Moreno graduates from the long tones of the theme to a 16th-note marathon, and the pianist becomes downright manic by the end of his improvisation.) “Blind Imagination,” something of a mellow jam session, has a drum line whose determination belies the tune’s mellowness. Less glaring is the closing of “The Last Stand,” on which Harland and Moreno trade fours with increasing tension (and fade out without release). There’s energy here, but it’s burned off sparingly. 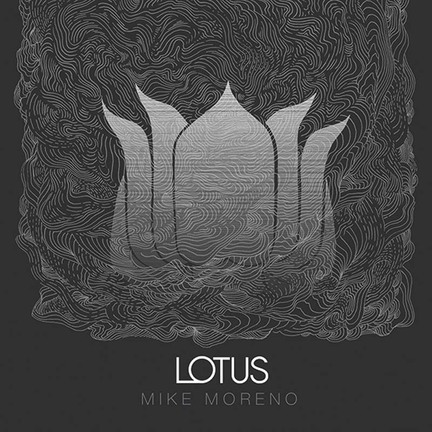 The containment, though, is the art-and as such Lotus is Moreno’s strongest work yet.